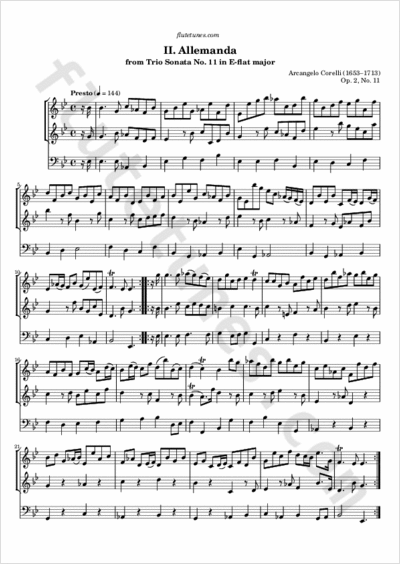 Today we propose the second movement of Italian Baroque composer Arcangelo Corelli's Trio Sonata No. 11 in E-flat major. You may notice that the key signature has only 2 flats instead of 3, despite the piece being in E-flat major. This kind of discrepancy was relatively common during the Baroque period. This piece was originally composed for two violins and continuo. As a consequence, a couple of notes have been altered in order to make it playable on the flute.